@bz07, no a399 was not my suggestion, I gave a web address to the driver that I thought would work in my first post on this topic. This driver was also called wdm_a247 . 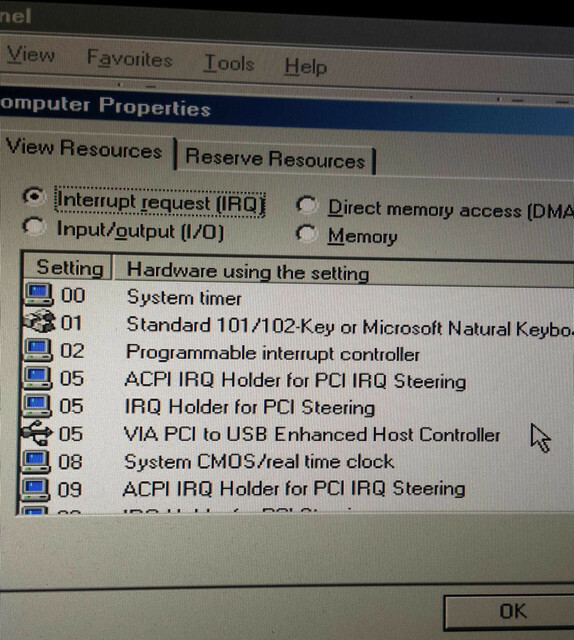 It is best to go back to a previous registry setting after installing many drivers as the reg can get large of unwanted settings. I use scanreg.ini with MaxBackupCopies=22 to give a reasonable time frame to act if an error creeps in unnoticed. After installing a406 no other installing of audio will work unless a406 is removed fully, means all pnfs in the inf folder. This may not apply to Windows ME and therefore may not be of any use to the OP, but here's a heads up to anyone using 98SE - Realtek's A405 and A406 AC'97 WDM packages use an ALCXWDM.SYS file that is missing a WDM function under 98SE, namely MmMapLockedPagesSpecifyCache. 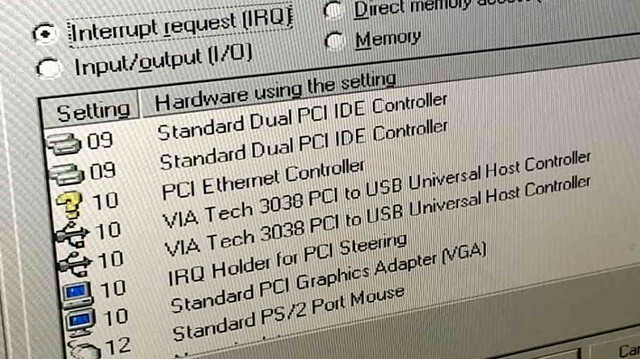 Therefore A405 and A406 are probably never going to work on a vanilla 98SE system, no matter what audio device you have. You will need WDMSTUB.SYS or rloew's WDMEX.VXD to provide this function. The A404 version does not appear to have any missing functions. MmMapLockedPagesSpecifyCache is not present in Windows ME either. Ooh! 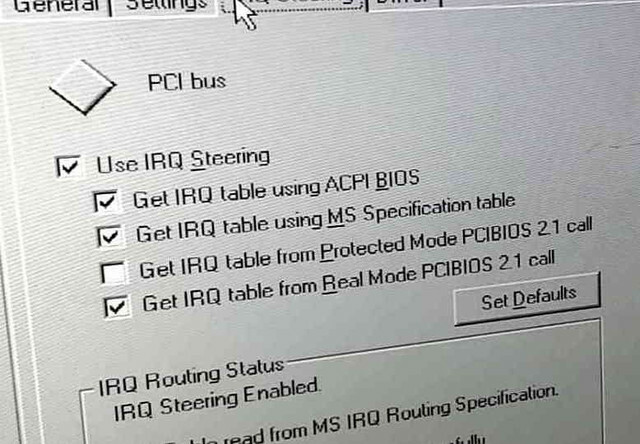 That explains why A405 and A406 never worked for me when I had the ASRock K8Upgrade-NF3 motherboard with Windows 98 SE! PS: Some drivers include WDMSTUB.SYS in their packages! BTW: better do not use the setup, but unpack the exe with 7-zip and point during Windows's driver install directly to the WDM folder . 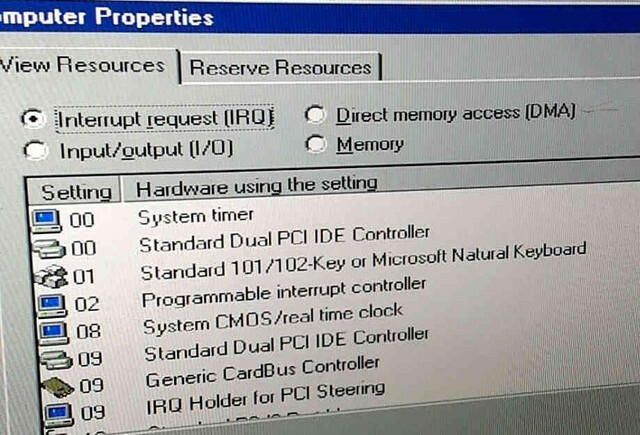 The IRQ should be there first in my opinion. What's the DriverVer of your Viamach.inf? 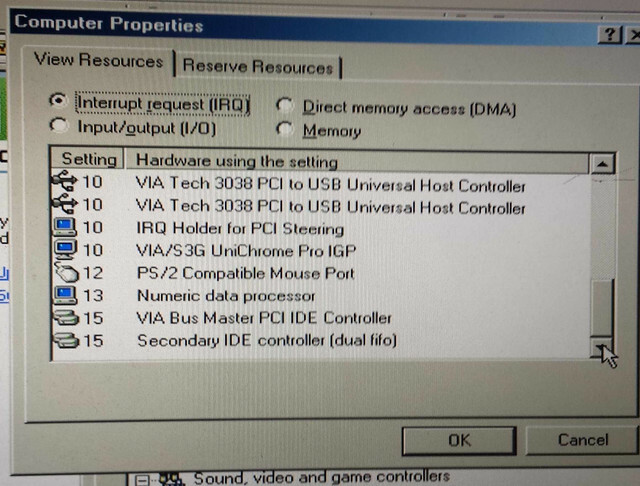 Your chipset-driver is old, my idea is first to try the last 9x one: DriverVer=6.0.00.0300. It's inside Via_HyperionPro_524A.zip. 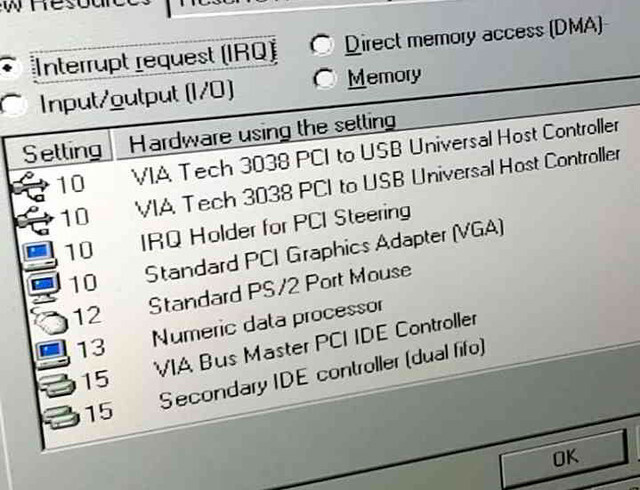 You find it on http://download.viatech.com/en/support/driversSelect.jsp > Windows > ME > chipset. Rename your existing Viamach.inf to Viamach.inf.old. Open the zip, go to VIAMACH\DRIVER\WinMe\ and extract the new Viamach.inf. Copy the file to the folder where you found the old Viamach.inf and reboot. 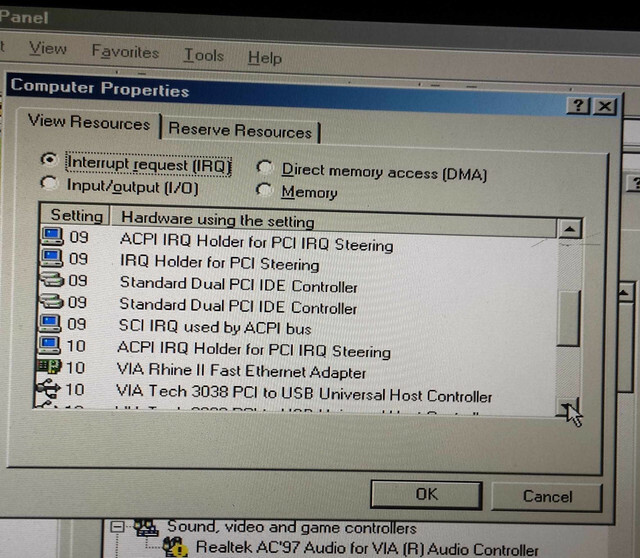 If there is still no IRQ for Audio, then go to DeviceManager > Computer > Properties and upload pictures from ALL used IRQ's (three pictures will be needed!). 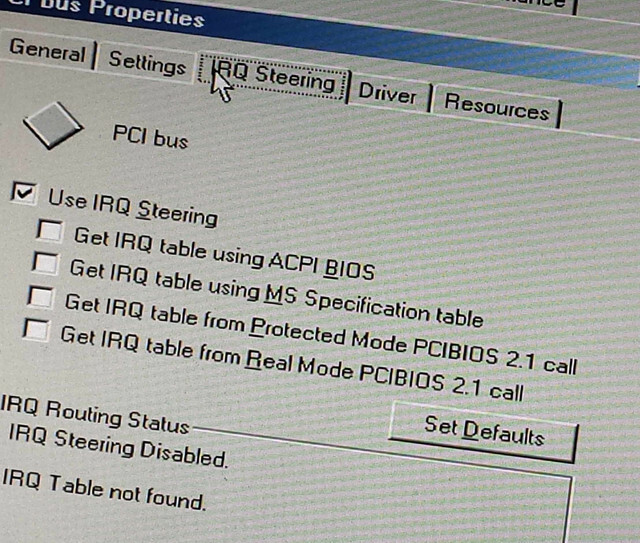 Also one picture for PCI-Bus, tab IRQ-steering please (to see if it's the same as your earlier one). Did you copy the DriverVer of Viamach.inf like I said? 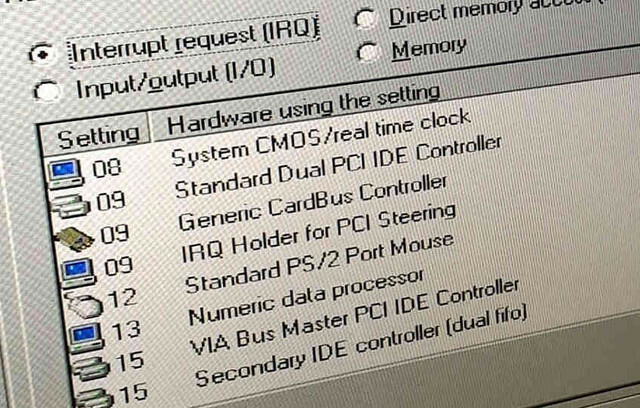 In my opinion you must get rid of all Acpi-devices, and have to wait with installing USB/Ethernet/Audio devices until IRQ-problems are solved. As a starter I would suggest following steps. 1) Reboot in Safe mode. 2) rename ALL inf-files newer then the one's of your OS. Latest Viamach.inf to Viamach.inf.new, others to xxxx.inf.old. 3) Rename ALL xxxxx.pnf files to xxxx.pnf.old. 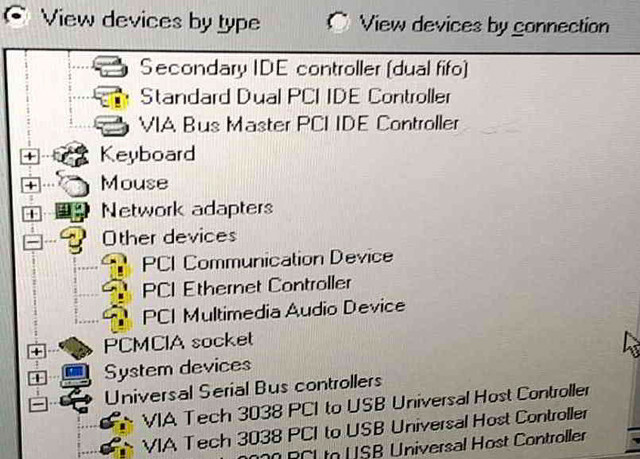 4) In Device Manager delete following devices: all IRQ-holders, both types alike; all USB/Ethernet/Audio devices; and - if still there - ACPI-Bios. 5) Reboot and reinstall your OS with SETUP /p i (watch the space between p and i). 6) During install, say always OK when asked, NEVER point to a driver-directory in this stage. 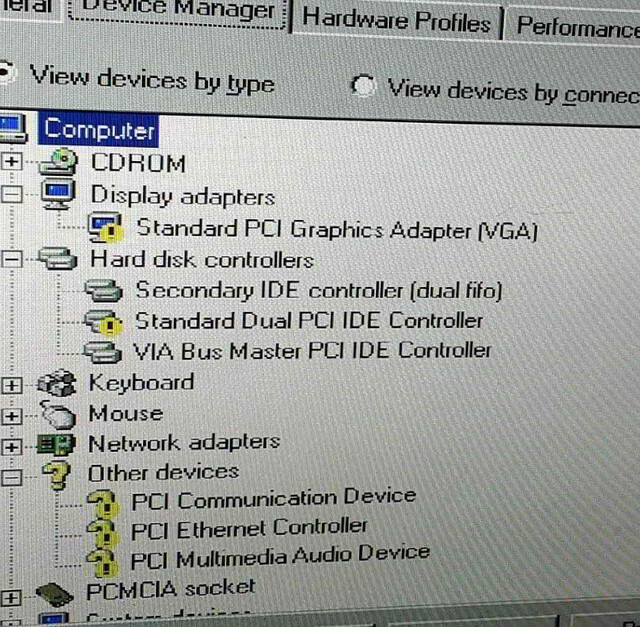 As a result I expect you should have a few yellow exclamation marks in your Device Manager. After this I think it's better to report first, same type of pictures please.